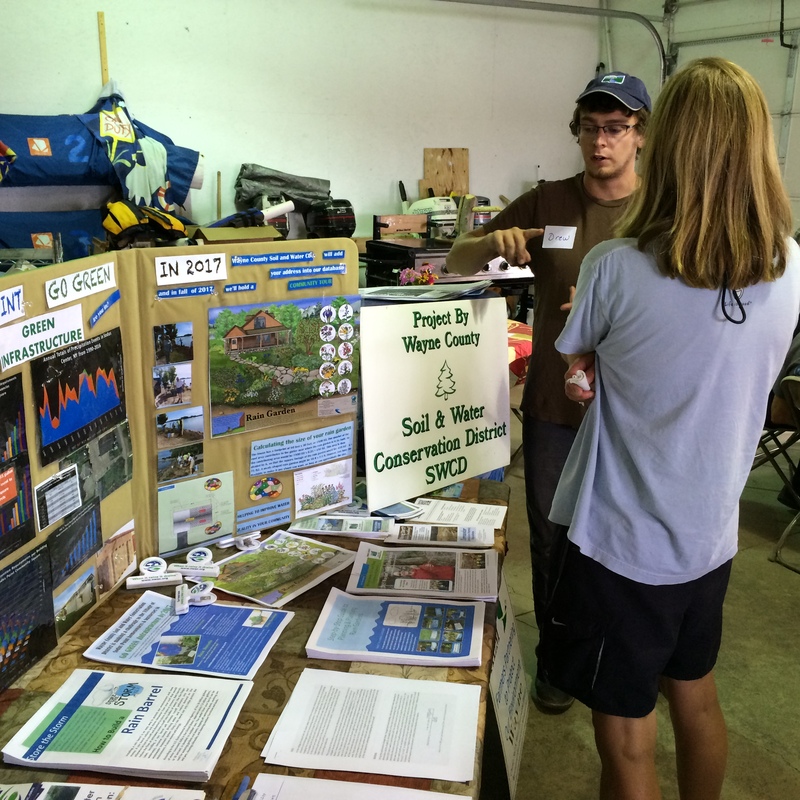 The Wayne County Soil & Water Conservation District is challenging local landowners and businesses to improve their impact on local ecosystems and water quality of Sodus Bay by implementing green infrastructure concepts that will reduce their individual nutrient and sediment contributions within the watershed.
. Washing vehicles on the lawn – provides water for the lawn and allows the soaps and solvents to be filtered before entering the waterways.
. wood mulches help to fix nutrients in wood pieces if they are course ground verses mulching fines.
. when holding a gathering, use paper and biodegradable silverware verses Styrofoam, plastic or waxed cups.